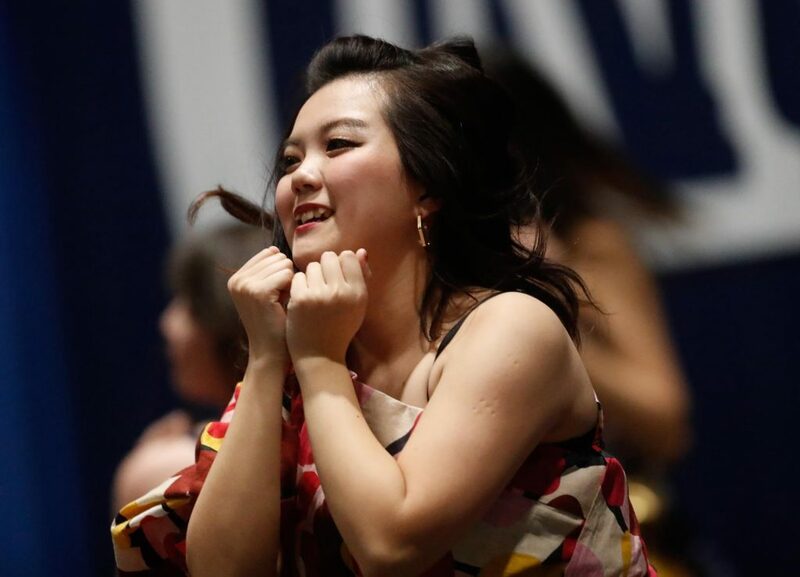 This post has already been read 12782 times! 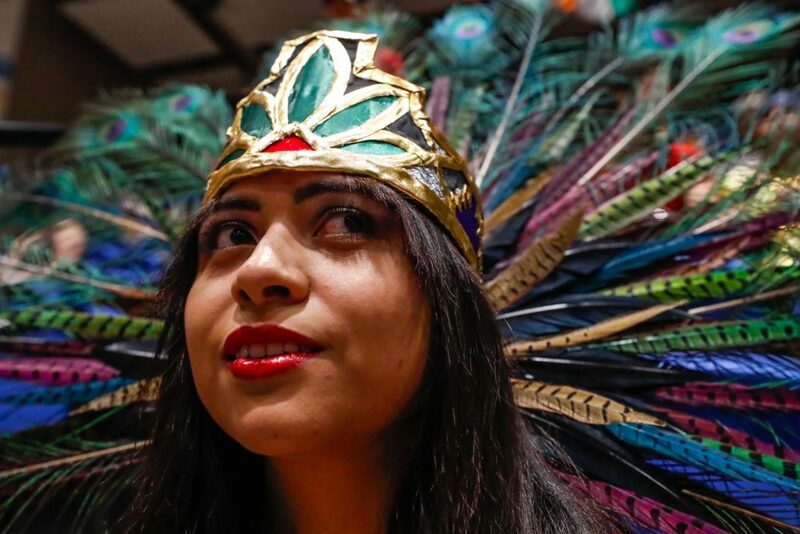 KEARNEY – Sujit Silwal knew he wanted to be part of the Scott D. Morris International Food and Cultural Festival the moment he heard about the annual event. 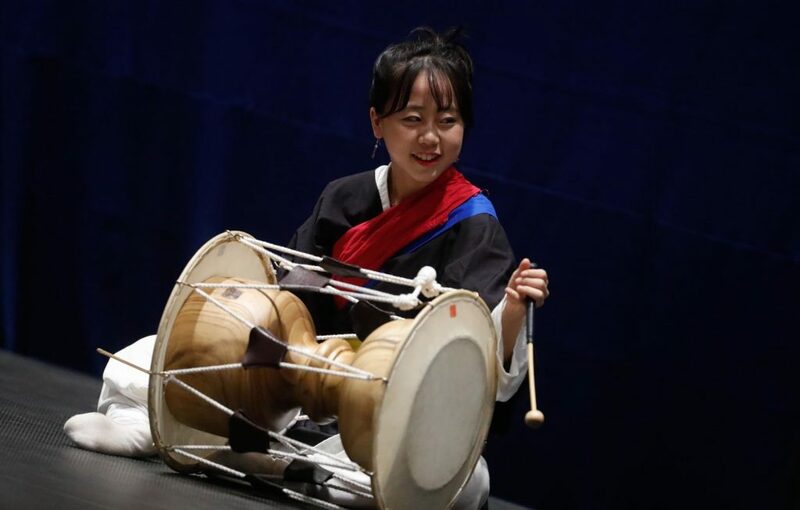 The University of Nebraska at Kearney student performed regularly while growing up in Nepal, and this was an opportunity to use that talent to introduce others to his home country. 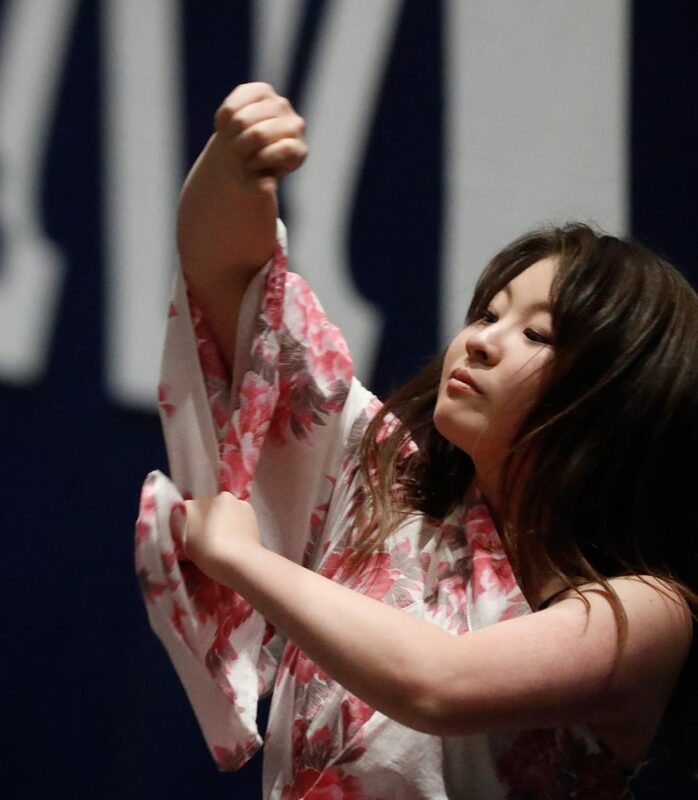 “I just like going on stage and singing,” said Silwal, who recently transferred to UNK to study computer science. 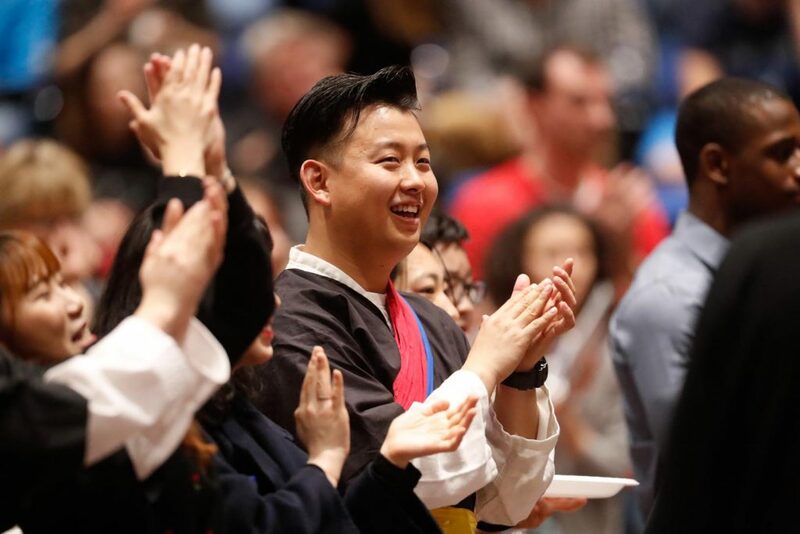 On Sunday, after just two days of practice, he and four other UNK students from Nepal performed a song fitting of the festival that brings the campus and community together to celebrate diversity through music, dance and a smorgasbord of dishes from across the world. 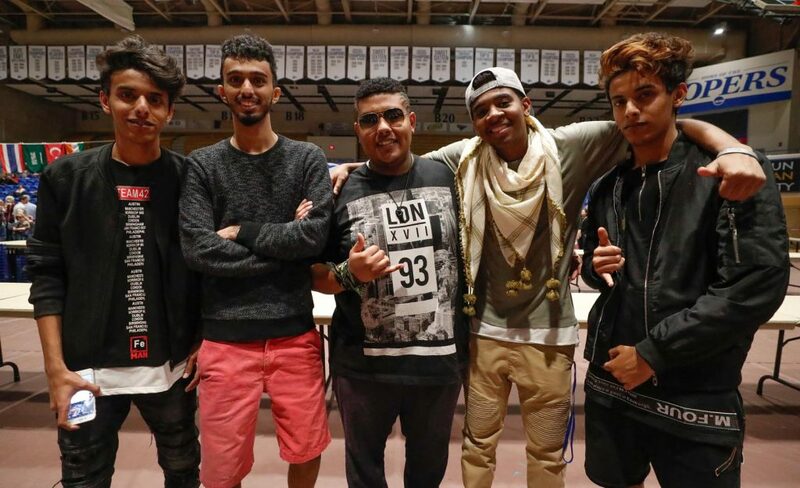 The song was about Nepal’s struggles and the need to come together for a better life. 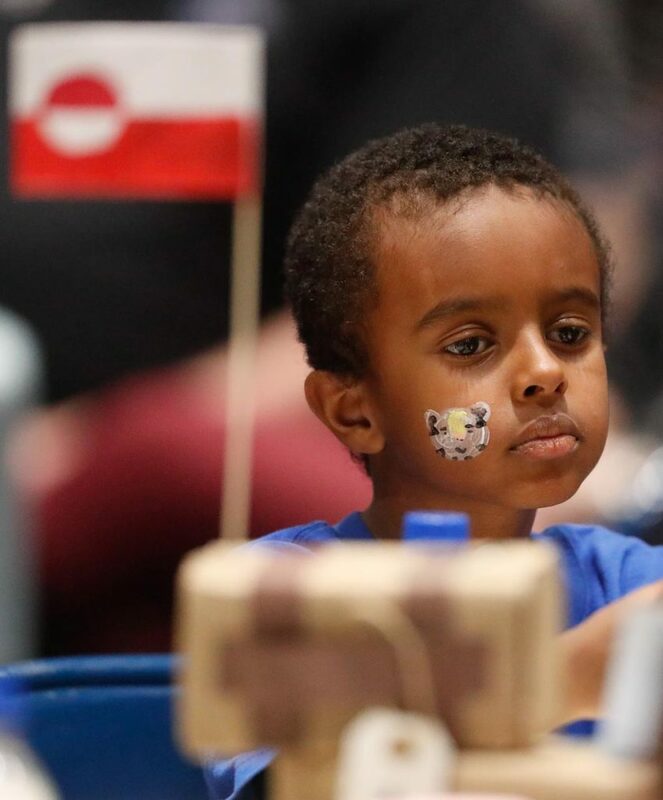 This message of unity was shared throughout the event hosted inside the Health and Sports Center at UNK. 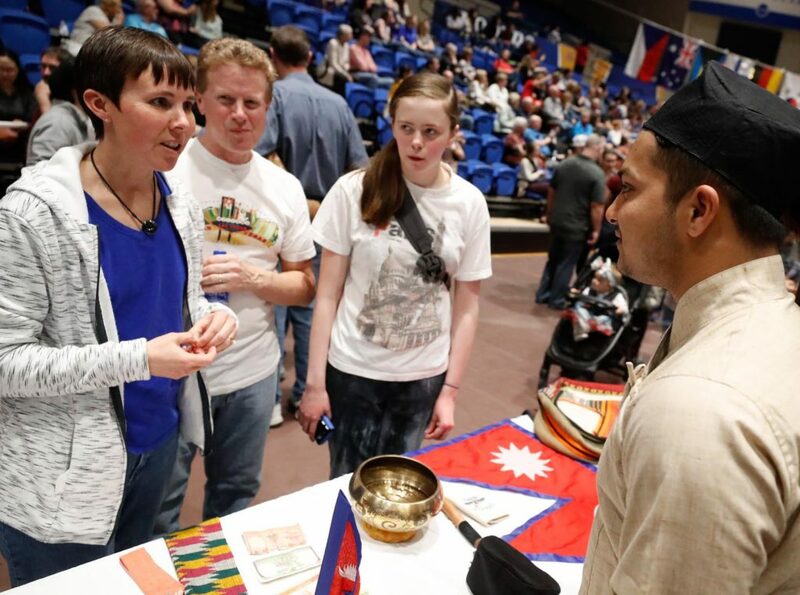 “People don’t know much about Nepal. 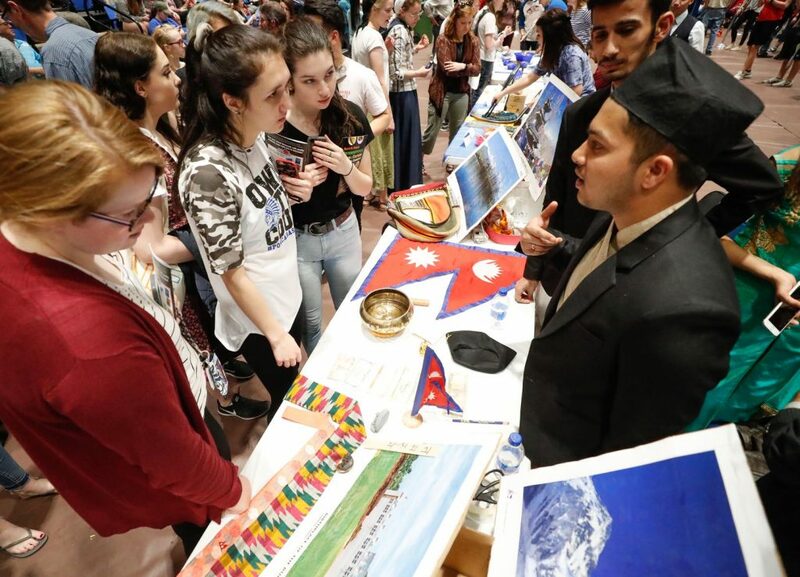 It’s a good way to let people know what Nepal is and learn about Nepal’s culture and food,” said Baibhav Mathema, a first-semester student at UNK studying computer science. 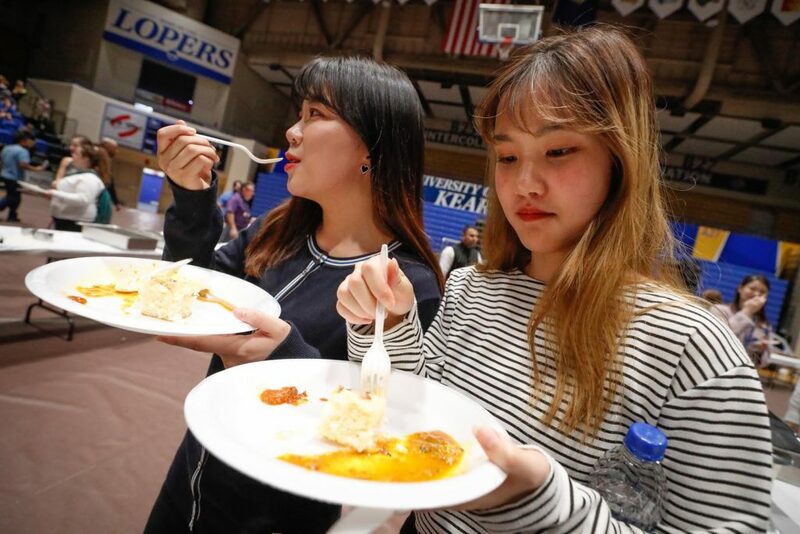 Mathema was serving momo, a steamed wonton filled with marinated chicken and accompanied by a tomato sauce, to hungry festival attendees lined up across the gymnasium floor. 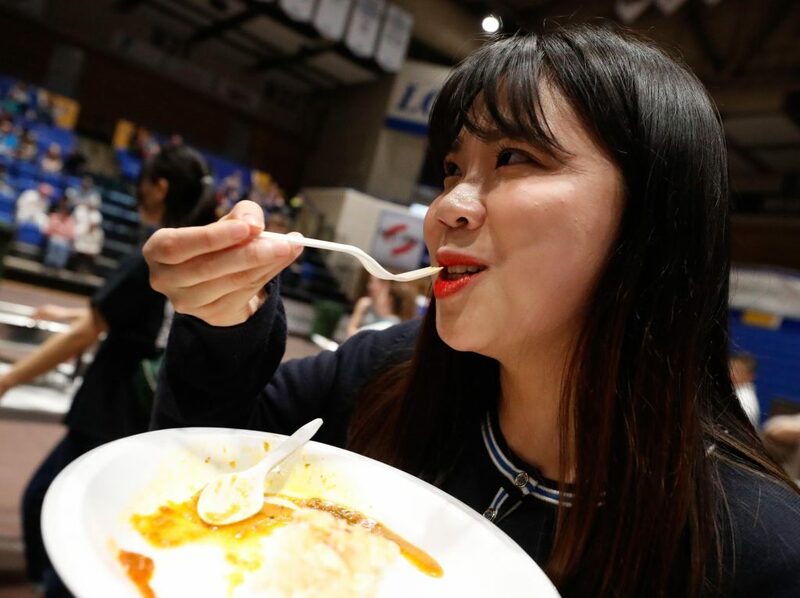 He and other members of the Nepalese Student Association at Kearney spent about 10 hours preparing their food for the event. 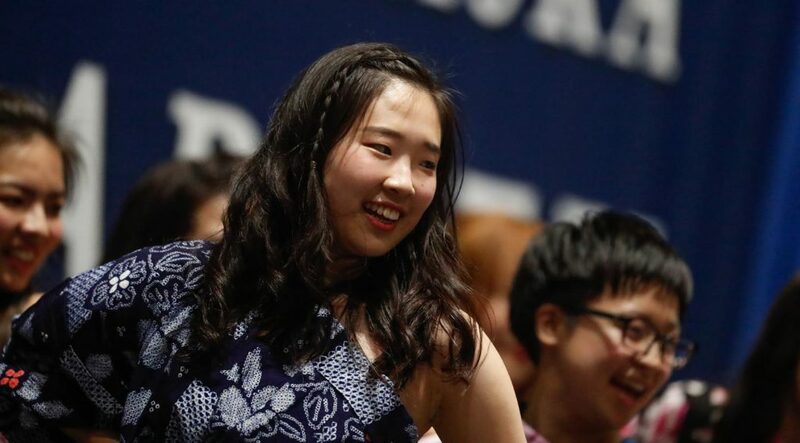 In another serving line, Yerin Joo spooned bulgogi – slices of beef marinated in Korean barbecue sauce and cooked with vegetables – onto each passing plate. 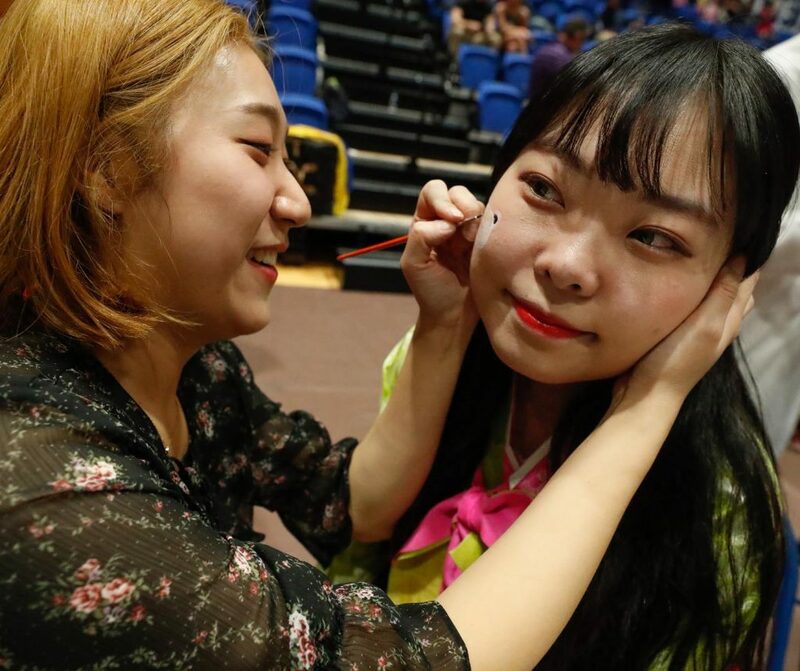 Joo, a native of South Korea, is only at UNK for one semester, so she was using the experience to meet as many people as possible. 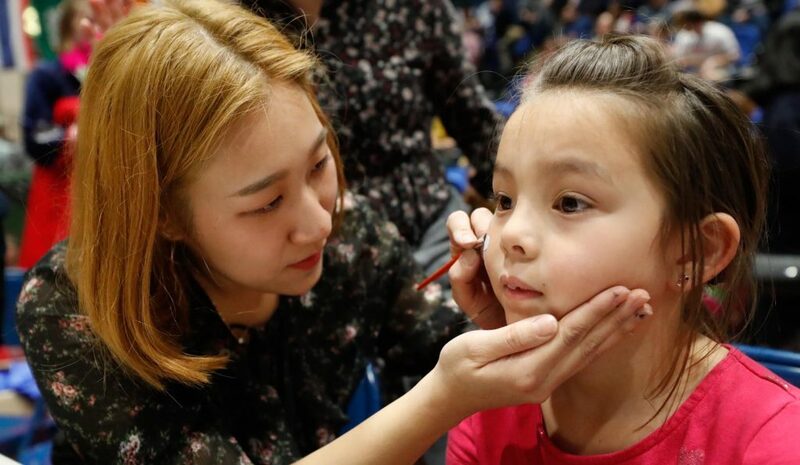 “It’s a short time, so I want to do a lot of things,” she said. 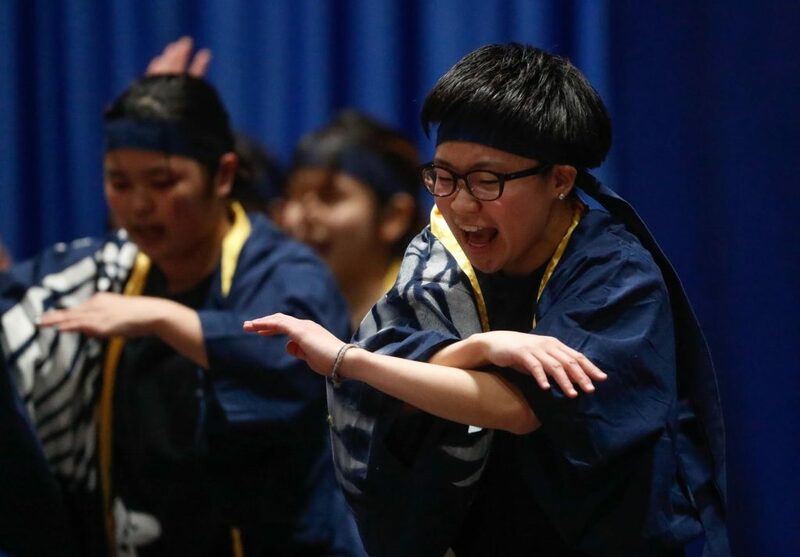 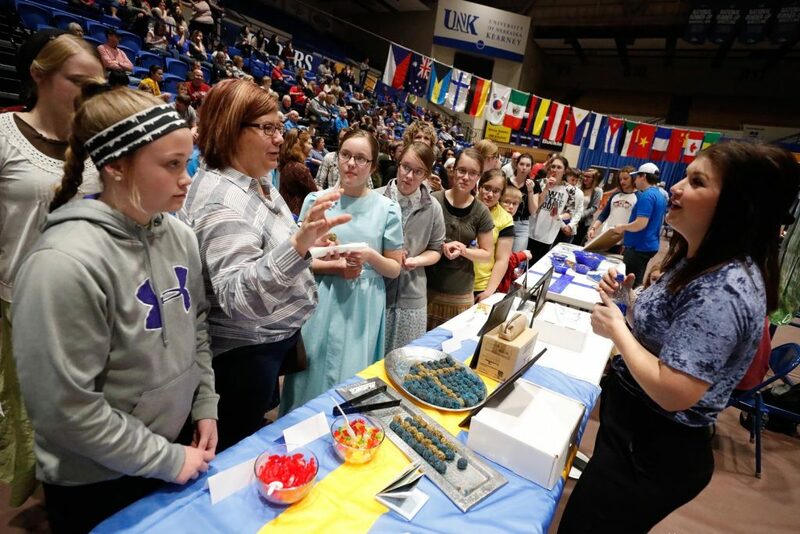 The food, which also included dishes from China, Japan, Oman, India and Germany, is a major draw for the festival hosted by UNK’s International Student Association. 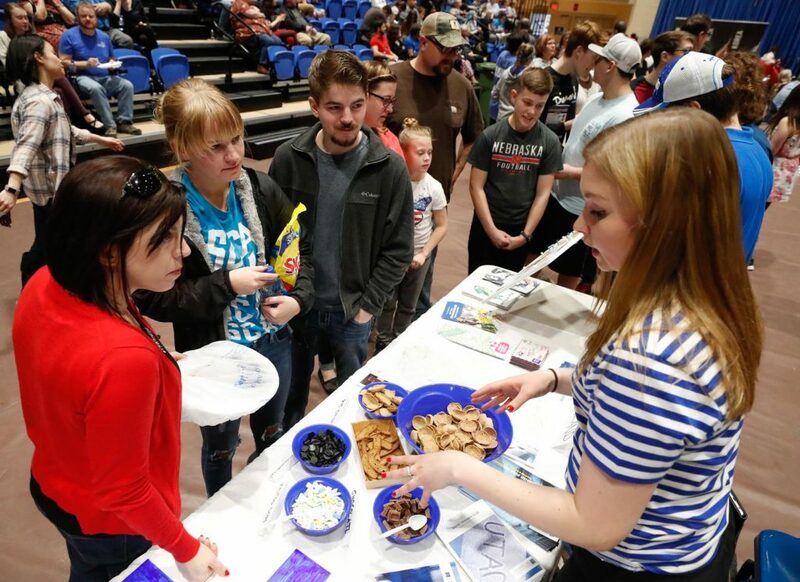 Justin Madsen and his wife Adriane of Kearney were near the front of the line shortly before the event started at 4 p.m. As repeat attendees, they know you need to arrive early since the food usually doesn’t last long. 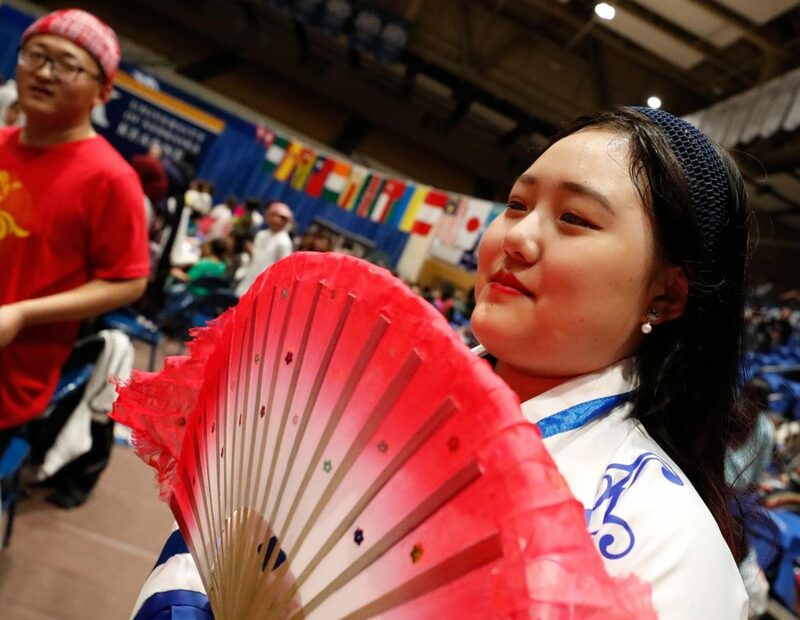 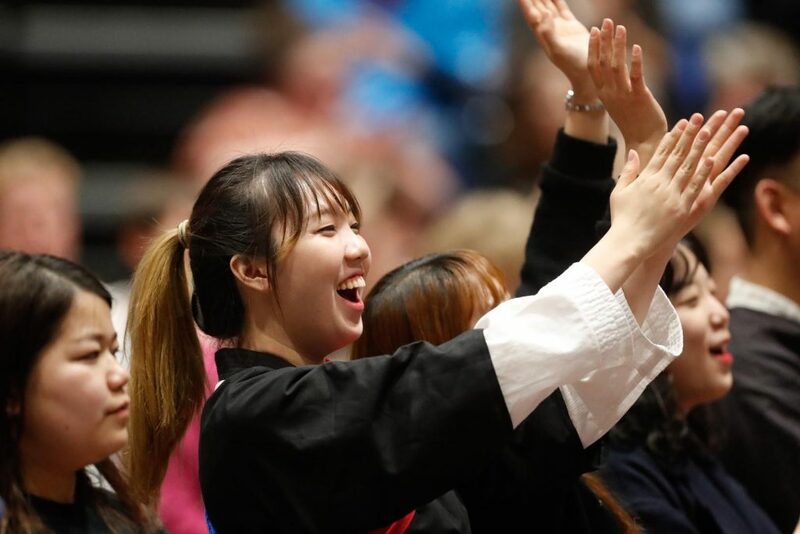 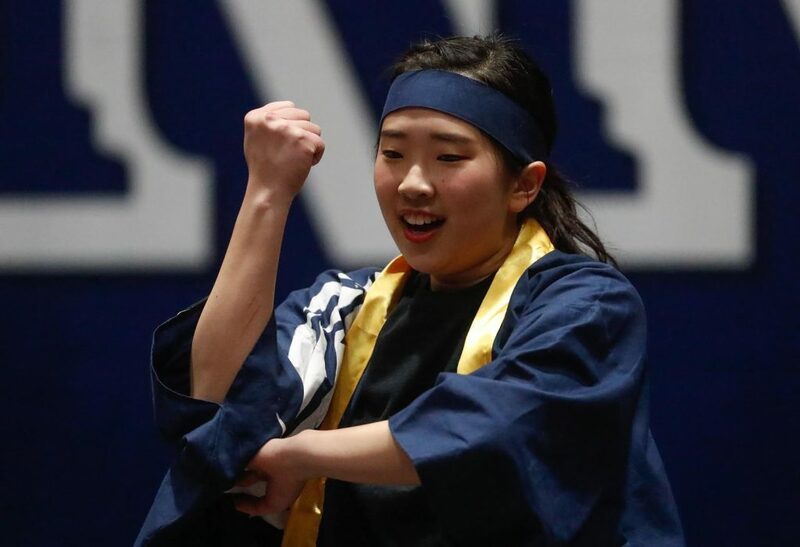 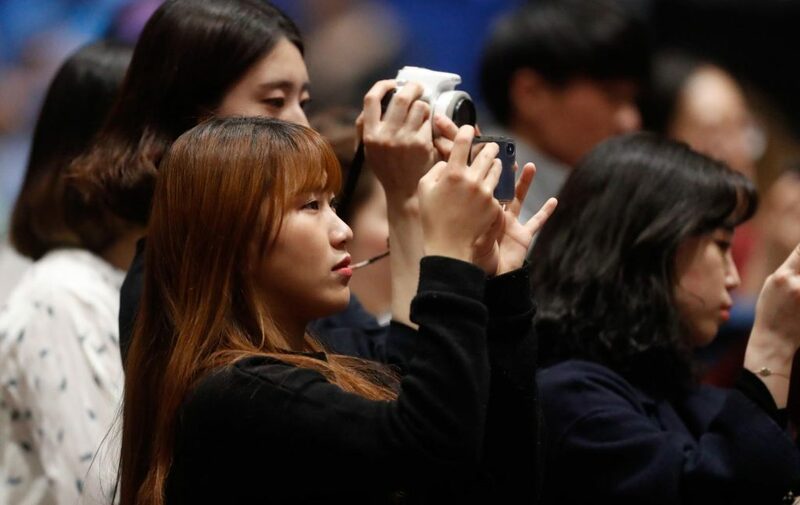 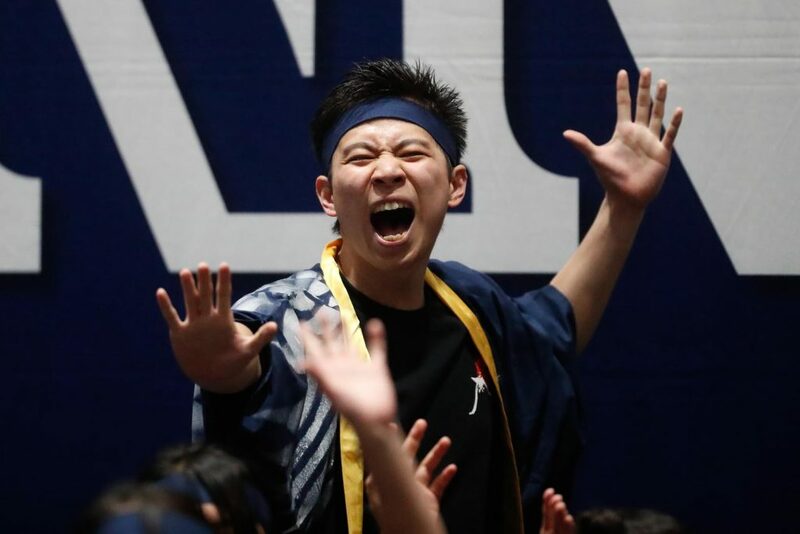 The UNK graduates also didn’t want to miss the performances by students from China, Japan, South Korea, Mexico, Nepal and Oman. 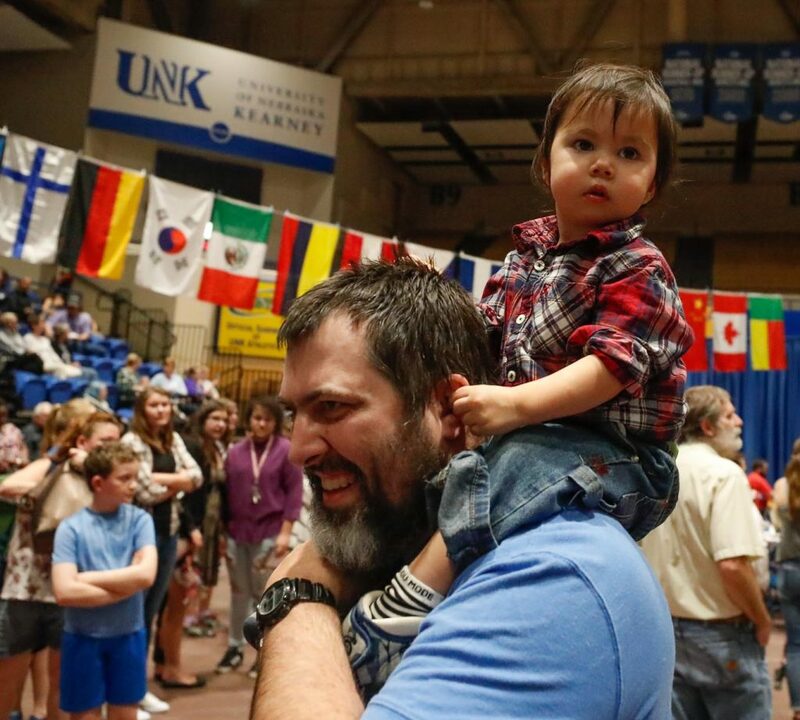 “It’s something you won’t get every day here in Kearney,” said Madsen, who was introduced to the event last year by his wife. 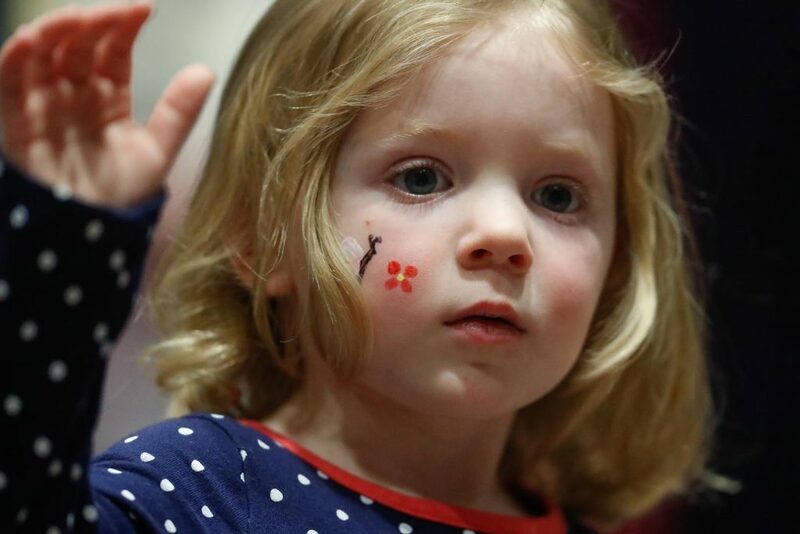 She’s been to the festival about 10 times. 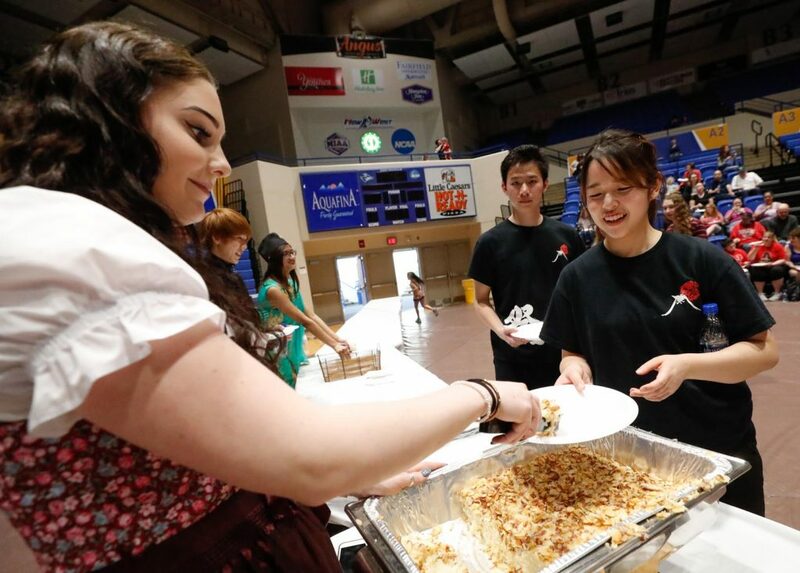 About 2,000 to 2,500 people typically attend the International Food and Cultural Festival, which started in 1977, and more than 150 students volunteer their time to make it all happen each year. 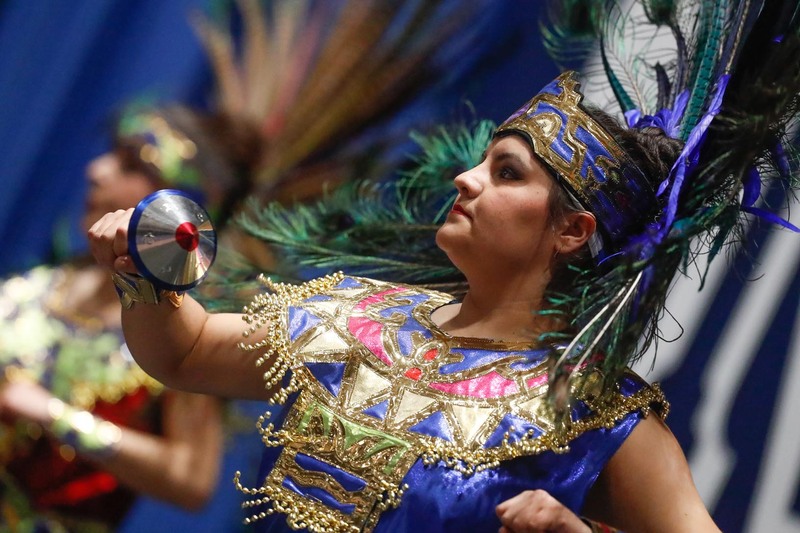 Scott Morris, owner of Morris Printing Group in Kearney, and other sponsors help keep the event free for attendees. 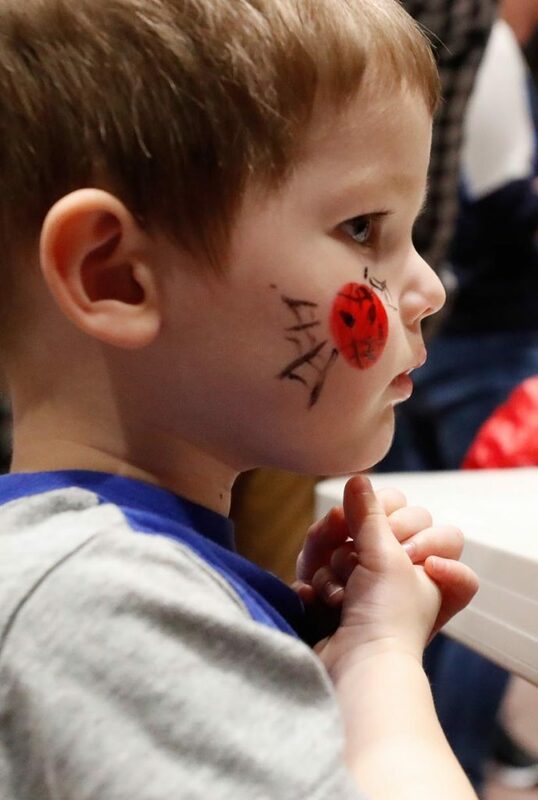 Since Scott couldn’t make it to this year’s event, his son Ryan Morris was representing the family along with his wife and three children. 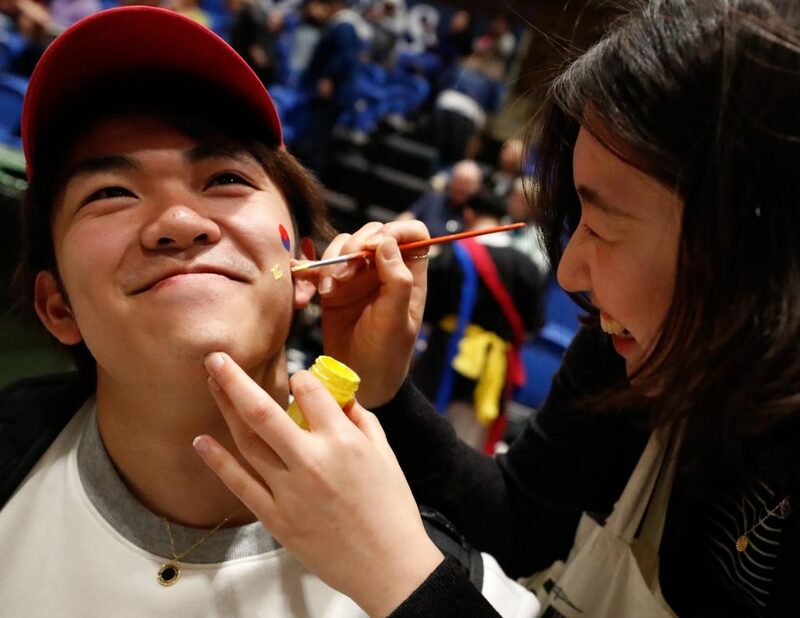 He hasn’t missed the event in more than a decade. 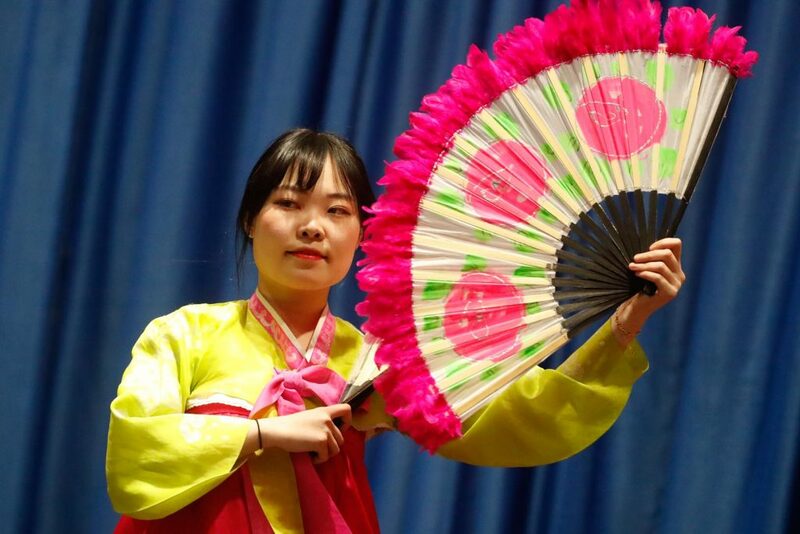 “We really enjoy all the entertainment and the food. 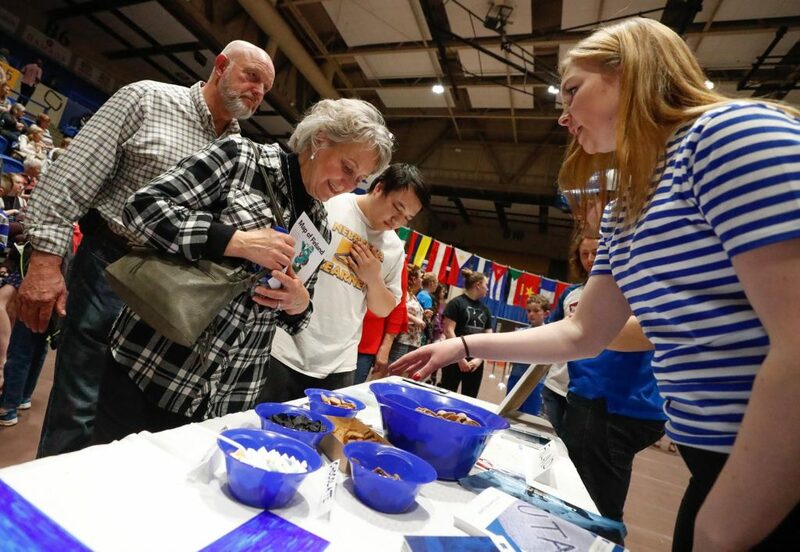 I mean, I love the food – amazing cuisine from all over the world,” said Ryan Morris, the fourth generation of the local family involved in the printing business known for its cookbooks. 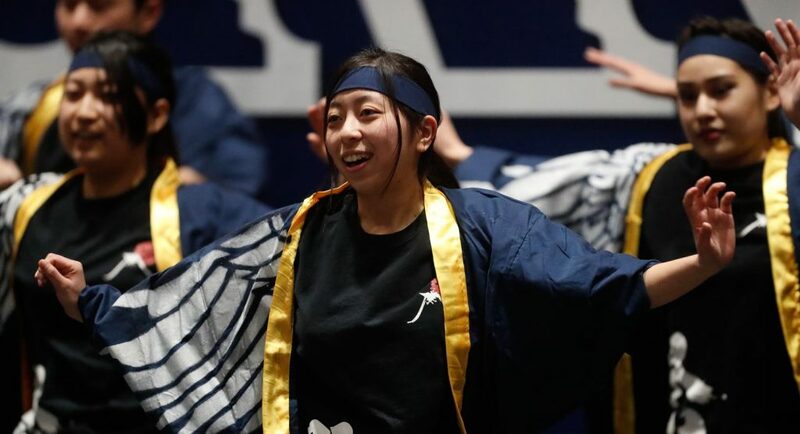 In addition to the food, Katy Anielak, a UNK junior from Omaha and president of the International Student Association, said the festival is an opportunity to bring more cultural awareness to the area. 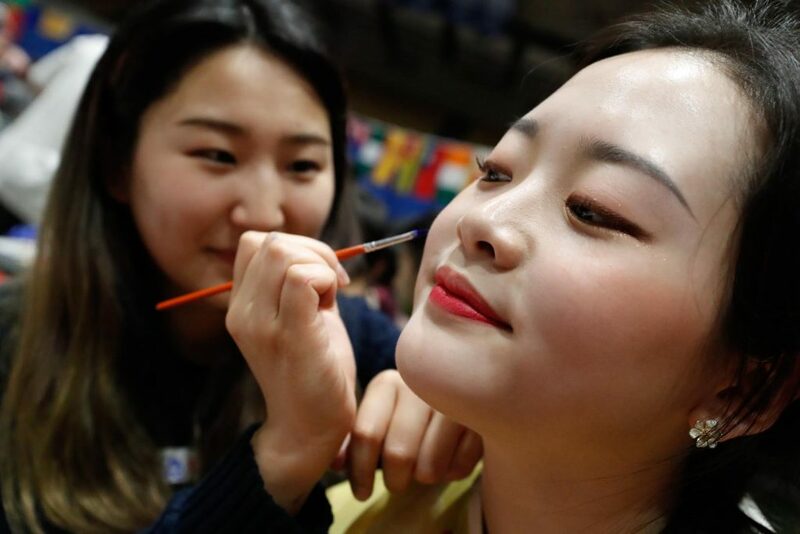 “It’s very important, especially in our global society, to expose everyone to as many different cultures as possible,” she said. 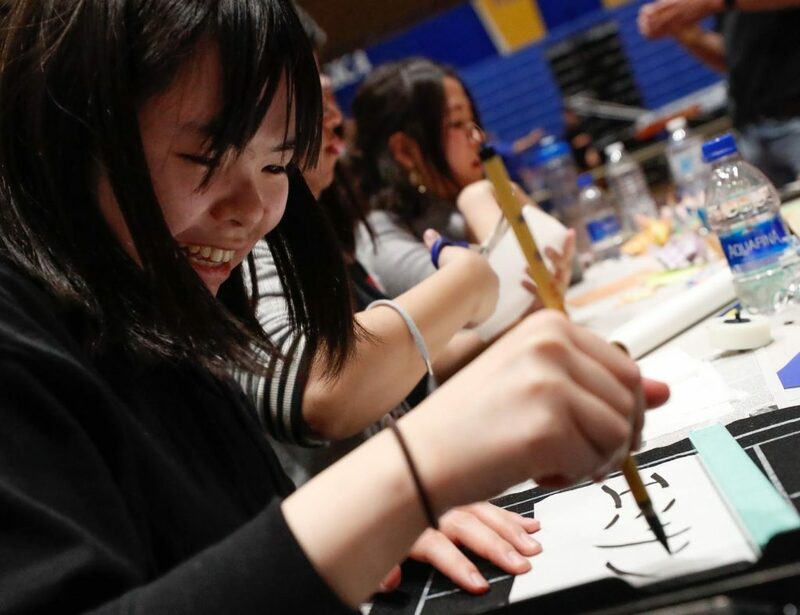 The event also brings the community together and allows international students to interact with people from outside the campus. 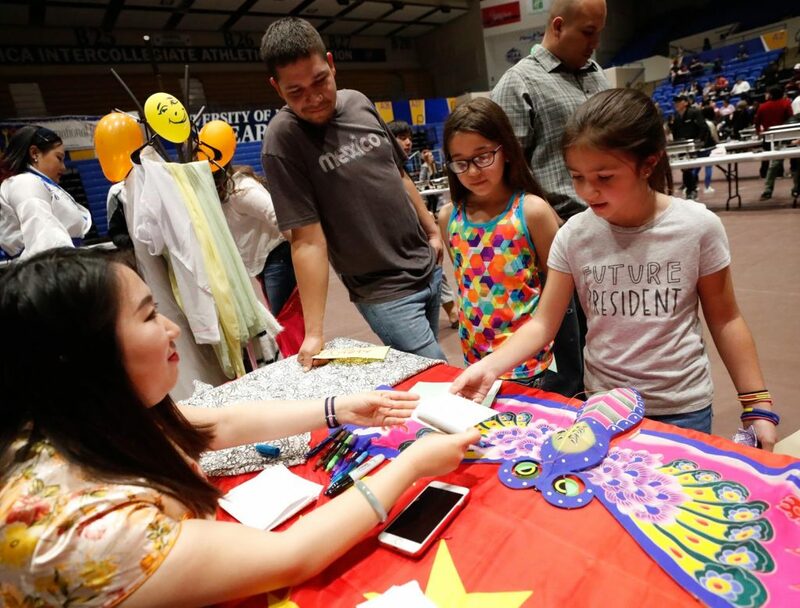 “It’s a really, really cool thing to see,” Anielak said. 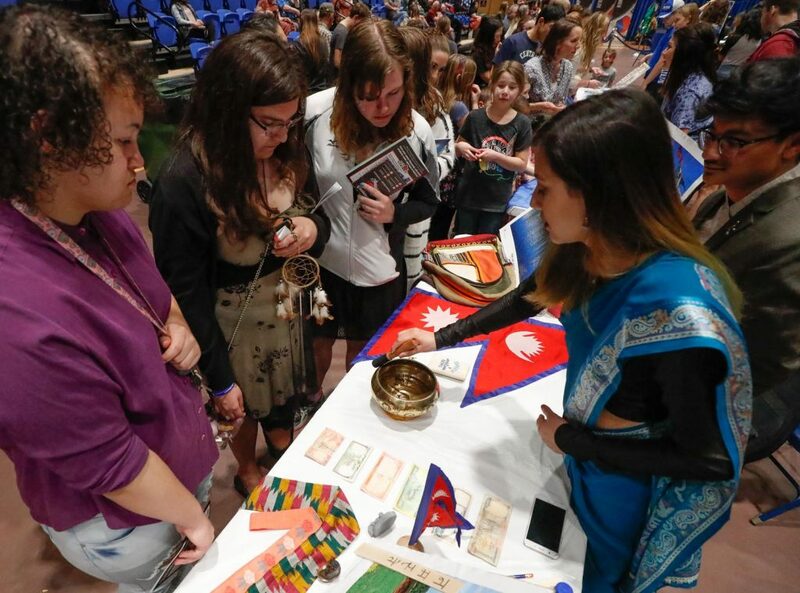 Zainab Albahrani and other UNK students from Oman displayed currency and traditional clothing to teach people about their home country. 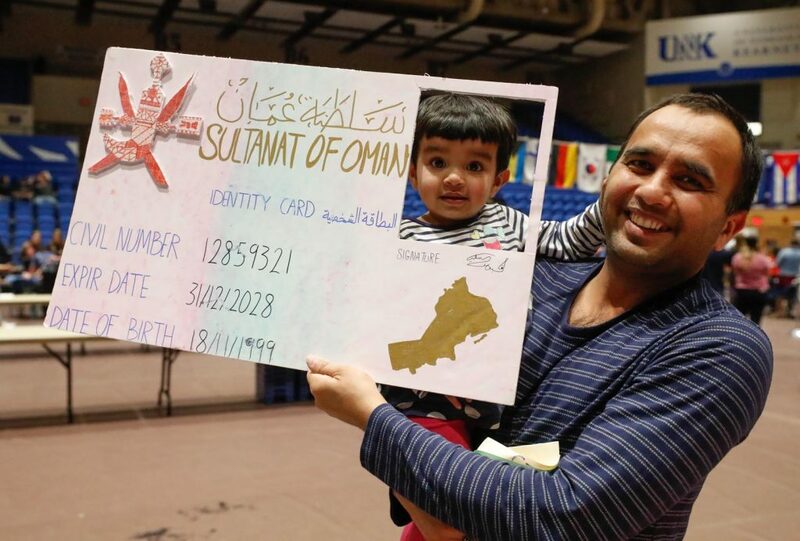 They also played a video about the country, located on the Arabian Peninsula near Saudi Arabia, Yemen and the United Arab Emirates, showed people how to write their names in Arabic and created an oversize ID card visitors could take their photo with. 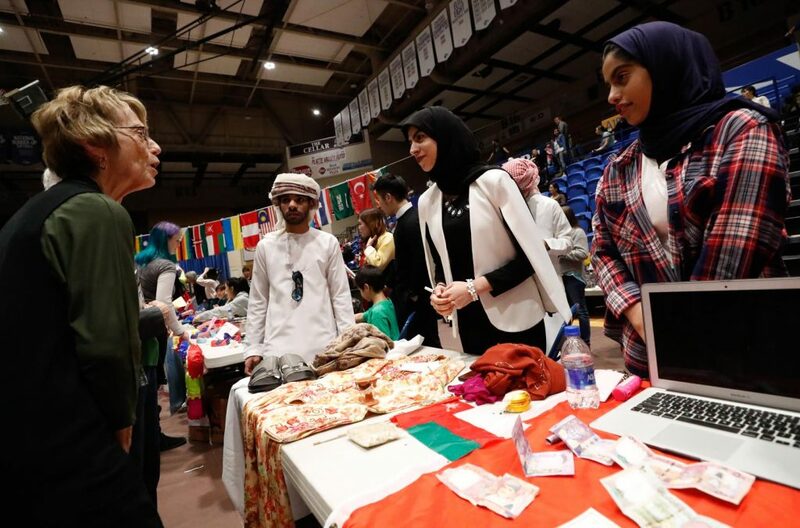 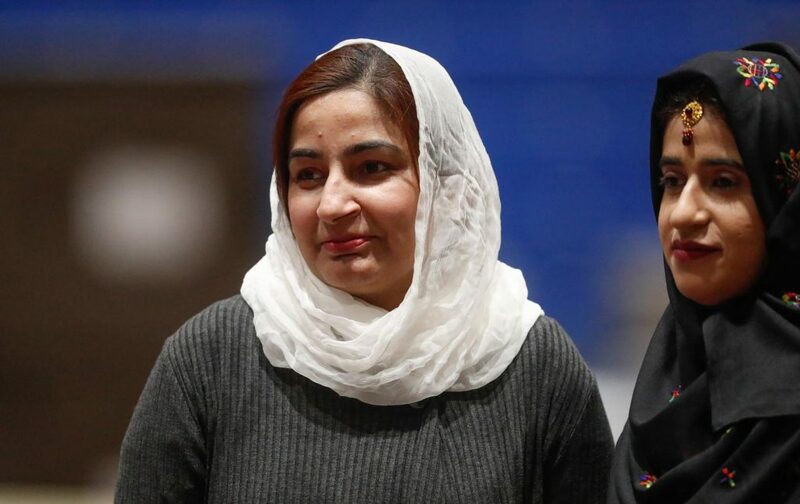 Albahrani said most Americans don’t know a lot about Oman, something she was hoping to change for those attending Sunday’s event. 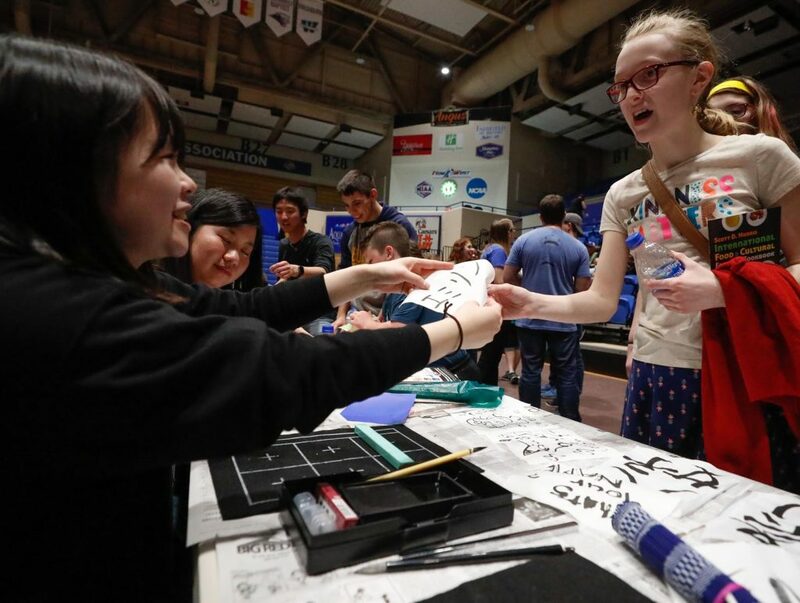 “They will know us and they will connect with us, and maybe they will visit us,” said Albahrani, who came to UNK to study biology through a scholarship program. 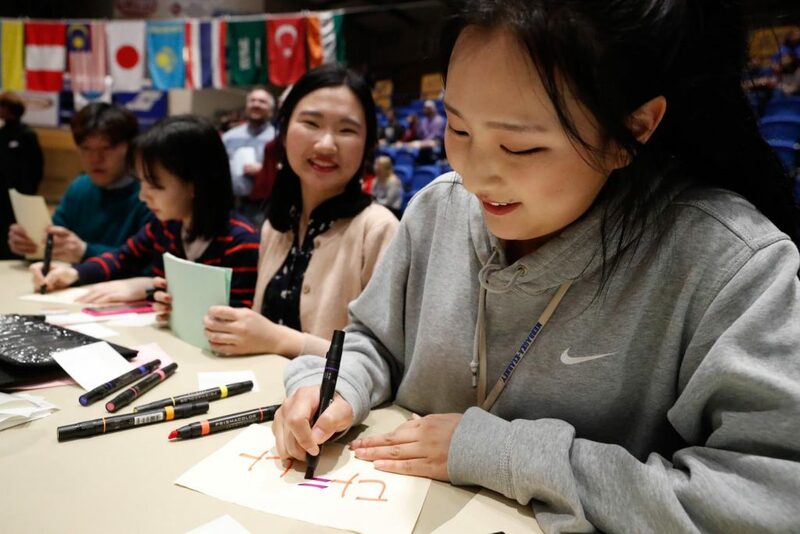 Caitong Ni, a second-semester UNK student from China, had the same goal. 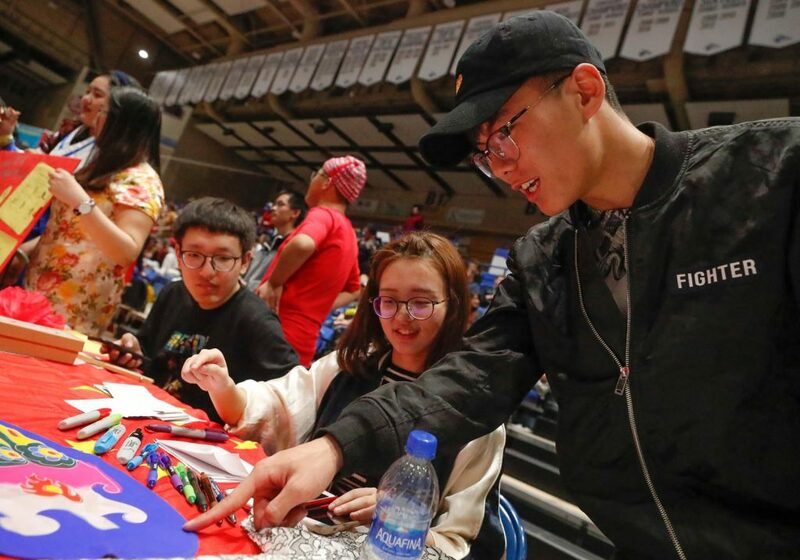 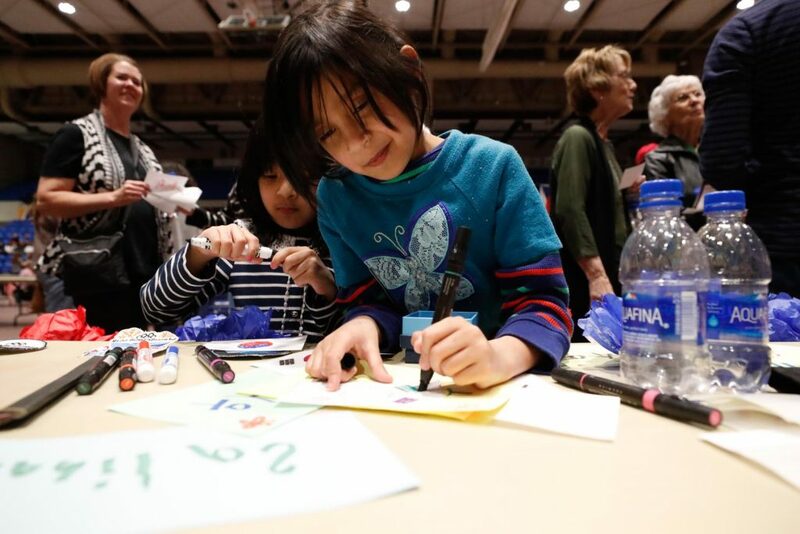 “I want Americans and my classmates to know more about China,” she said while sitting at a table showcasing Chinese games, kites and other items. 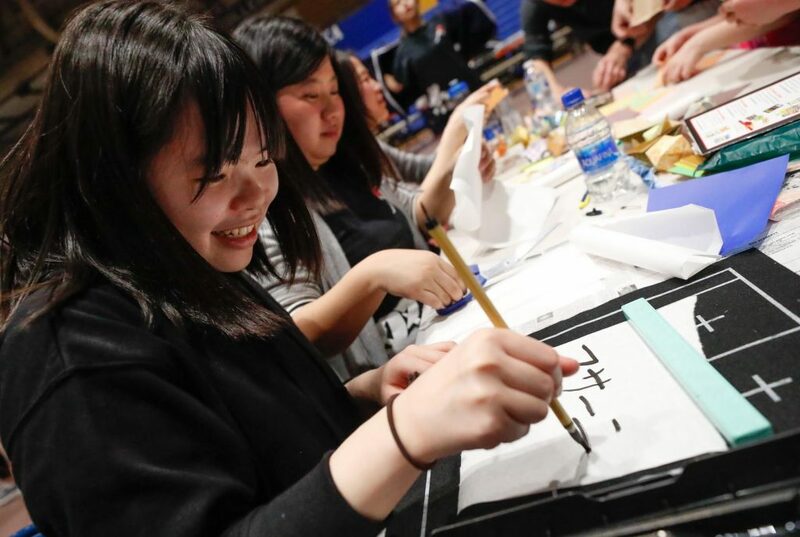 Attendees could also try their hand at Chinese calligraphy and test their skills with chopsticks to win a prize. 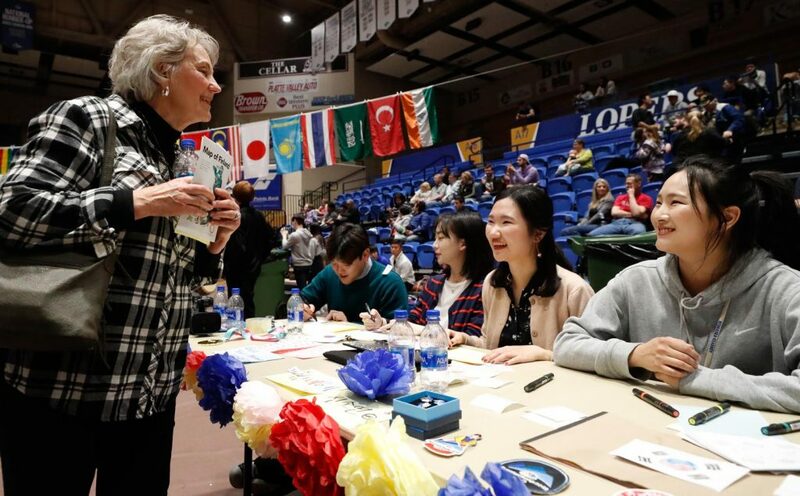 The festival was an educational opportunity for UNK alumna and Columbus High School teacher Rae Fahrlander, who made the two-hour trip to Kearney along with 12 students from the school’s World Languages Club. 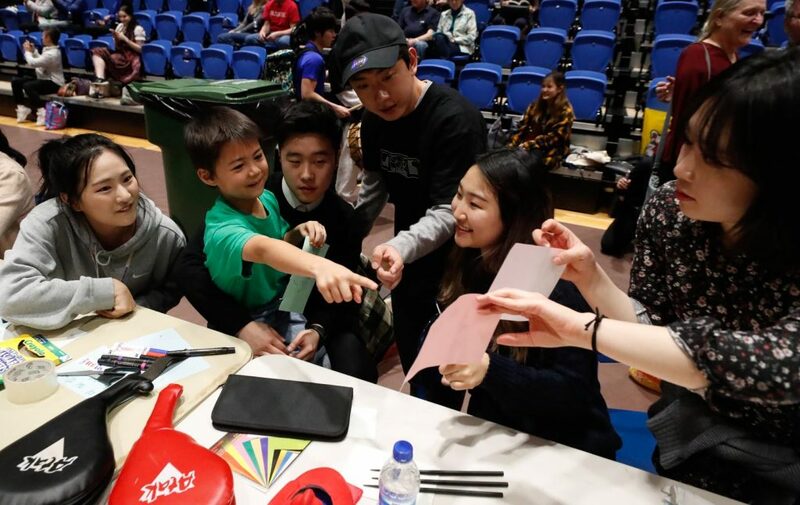 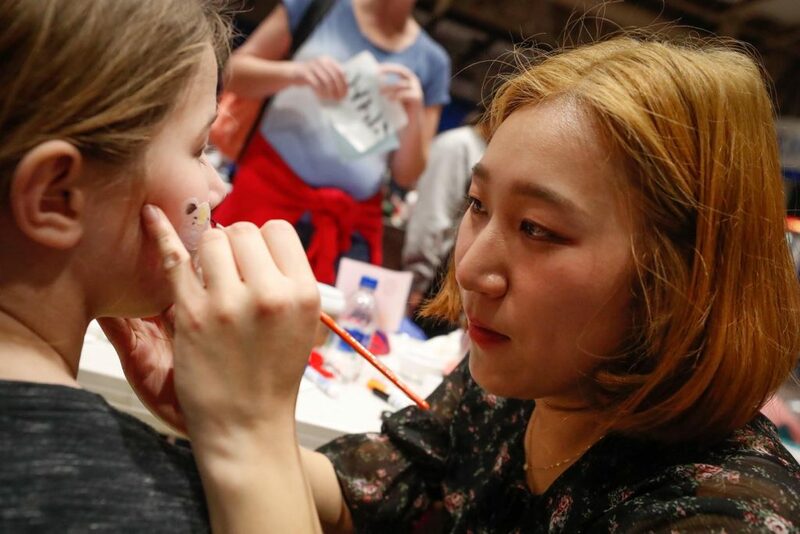 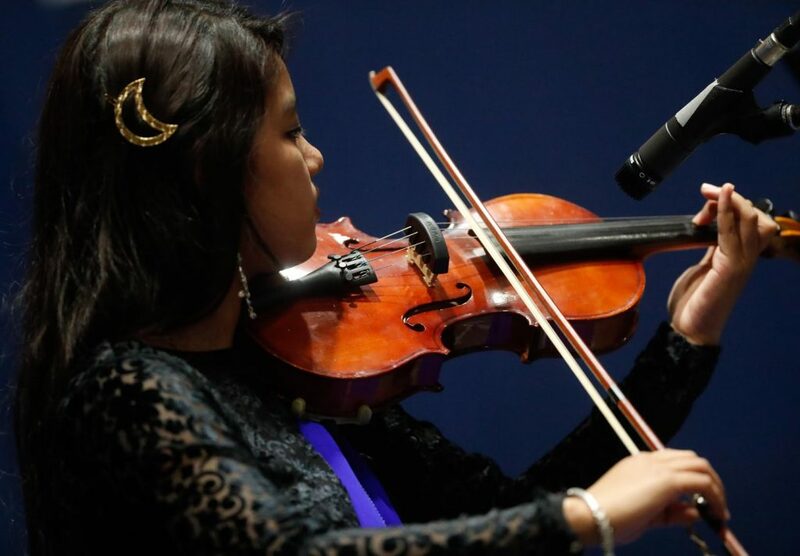 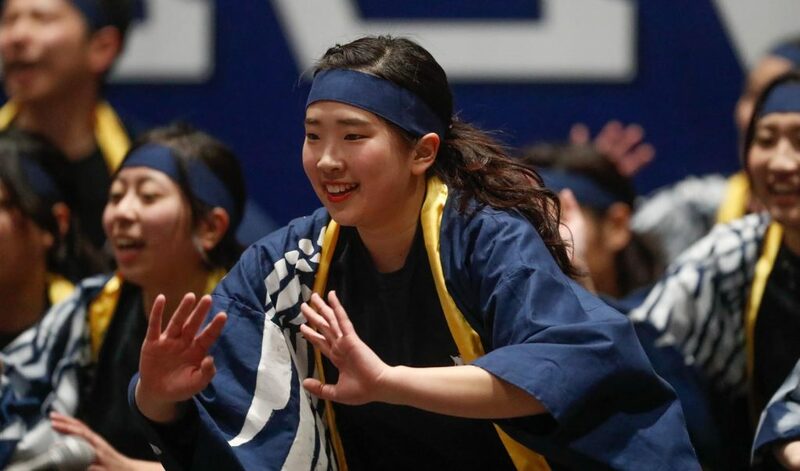 She wanted to broaden students’ horizons by giving them a chance to meet people from other countries, try their food and watch their performances. 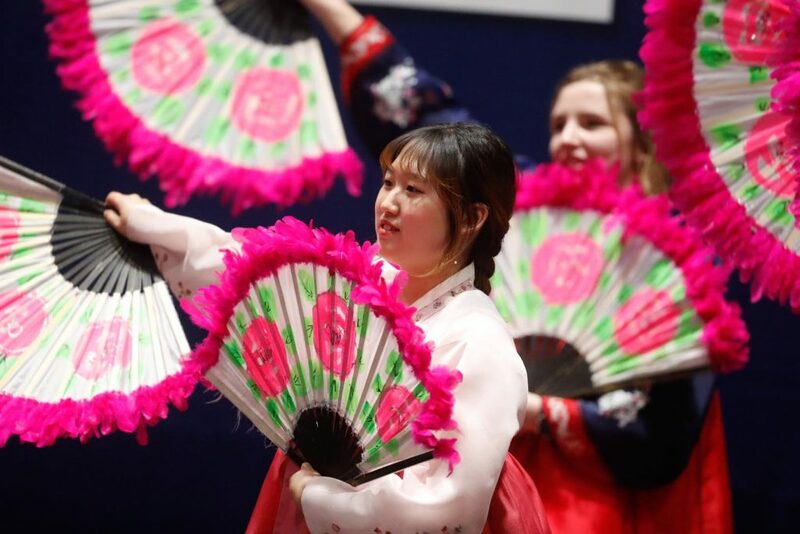 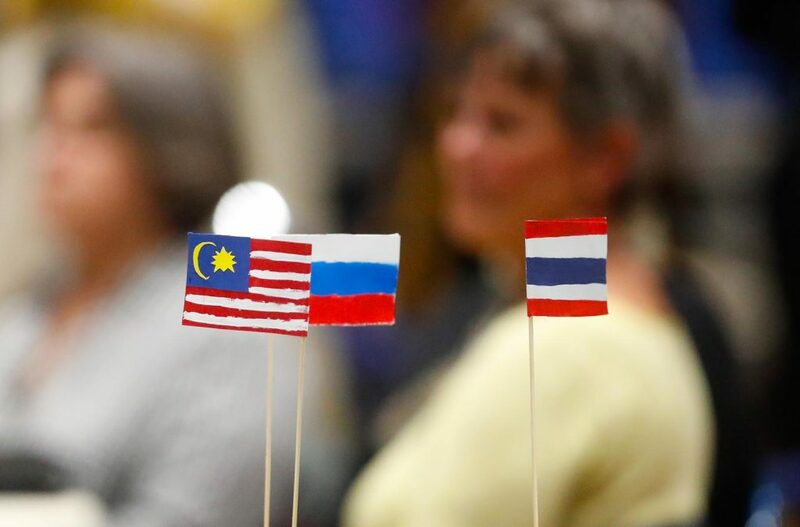 “It opens their minds more to different cultures, because it’s one thing to learn about it and it’s another to experience it even a little bit,” Fahrlander said.